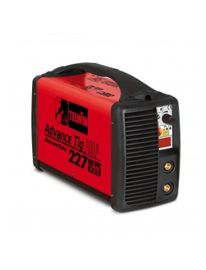 Telford Group are proud suppliers of a wide range of Telwin welders. Telwin have been a worldwide leader in welding machine, cutting systems and battery chargers for over 45 years. Situated on all 5 continents, Telwin have access to over 100 markets. With an unmatched product range, Telwin products suit a wide variety of industries. This includes the automotive, building sector, industry and all professional divisions. Telwin provide state-of-the-art, innovative and technologically advanced solutions. Their products are geared towards improving productivity, optimizing intervention times, minimising operative costs and always guaranteeing excellent performance. Their company strategy revolves around innovation. They are equally focused towards advanced research and sustainable improvement. This is because they believe these to be essential pillars of its worldwide leadership. Since the beginning, Telwin has managed to promote a special relationship with its clients. They have proved themselves as a steadfast partner on whom to always rely. 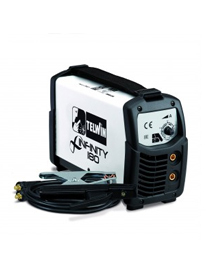 Telford Group are proud to be distributors of Telwin welders. We bring to the market their top quality machines. Our experience within the industry means that when it comes to welding equipment, we know all there is to know. We offer machines for wide range of welding applications. So, whether you’re welding stainless steel, aluminium or iron, we’ve got the solution. Our 5000sq ft showroom is home to all things welding. Be sure to stop by to browse the full range of equipment we have to offer. Alternatively, give us a call and one of our specialists would be happy to talk through your requirements with you. The range of Telwin welders we offer are some of the best in the industry. 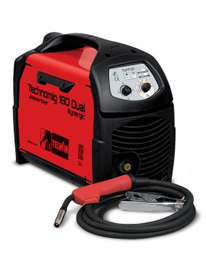 We can tell you all there is to know about Telwin welders, so can be sure you find the perfect equipment for the job. So, for MIG, TIG or MMA Telwin welders, Telford group are the number one choice.